When it comes to losing weight, building lean muscle, gaining strength, and getting into shape, nutrition is key. 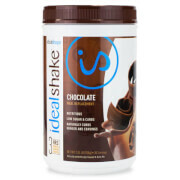 That’s why IdealShape created the Men’s All-In-One Shake with Added Protein. This great tasting meal replacement shake delivers 28g high quality whey protein per serving that will help keep you feeling full while it supports your lean-muscle building goals. You also get 20g slow digesting carbs to fuel your weight loss regimen, and with only 2g sugar per serving you won’t derail your fat burning efforts! Use as a replacement for a meal, a snack, or as a post workout protein source to satisfy your cravings and stay energized. Allergen Statement: Contains Milk and Soy. This is a convenient meal replacement, but the flavor is not very good. I've had better tasting protein shakes. Different flavors would be a nice addition to the Men's All-In-One Shake. Consistency is great, and for a chocolate flavor I really like it. However, I’m not a huge plain chocolate lover. I was really hoping by now there would be more flavor options in the men’s. This is a good product. If you go in knowing it is a high protein meal replacement not a milk shake, you’ll be pleasantly surprised. I’ve tried no less than 10 similar products and found this one to be my favorite. Taste is great. Passed for me. I mix it with 4 oz of Cashew milk and 4 oz of water. You do have to shake it for a few mins for it to break up. The taste is similar to making a protein shake in a blender and adding oats, so there is an "oat" taste and feel to it. I lift weights so its a great addition to the idealshape line of products. Purchased for my husband and he loves it. Good tasting and it’s full of energy. Wish it had the nutritional value as your other shakes. Maybe I an miss reading the label on jug. Bottom line - the product is good. Taste is fine, not sure why others dislike it. And unlike the regular shakes, my hunger is kept at bay longer with this one. The only negative is the powder does not fully dissolve and the last couple sips are chalky. Not terrible but they need to work that part out. This tastes good and keeps you full longer. The bottle that this product comes in is HUGE. I don't know why the jug is so big but the product inside is good! 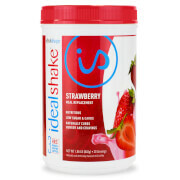 Been a fan of ideal shakes for 3yrs weighed 247 lbs at my peak ideal shakes 2 times a day plus exercise dropped down to a healthy 180lbs and alot more muscle I always added pure protein powder to my shake before workouts now I dont have to!